For the discerning birdwatcher we offer a small selection of hand-picked luxury birdwatching tours. These unique tours offer luxurious accommodation, premium vehicles, excellent meals (where possible, prepared by local gourmet chefs) and an unrushed schedule. 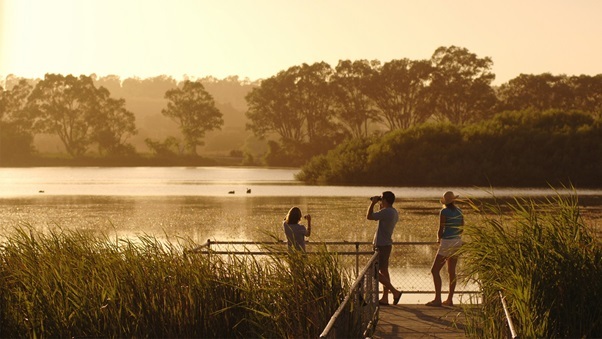 Our sample itineraries showcase the best luxury birding tours on offer in Australia. Alternatively, let the team at Bellbird Tours design and lead your personalised birding and wildlife tour in Australia. And while we’re designing your tour, why not incorporate your other interests or those of your spouse or travelling companion – golf, wine tasting, culture, history – anything is possible. Simply contact us using the buttons below to start the ball rolling, and one of our dedicated tour designers will work with you throughout the entire process. The Bellbird Tours team can plan and organise personalised luxury tours for individuals to large groups. We cater for a wide range of nature-based interests including birding, wildlife, botany, butterflies and general nature, as well as nature and bird photography. We will work with you to craft the ultimate luxury birding experience you have in mind.